The UAE parliament has approved a new arbitration law based on the UNCITRAL Model Law. The Cabinet of Ministers will make a final review of the new UAE arbitration law and, afterwards, it will enter into force once the Supreme Council and Sheikh Khalifa Bin Zayed Al Nahyan sign it. Experts do not expect any more in-depth talks about its contents. Although some laws have stalled in the past, practitioners believe that the new UAE arbitration law will pass this year. Some say perhaps before Ramadan, which starts on 16 May this year. The law will replace the country’s Civil Procedure Law, which has been in place since 1992 and has a number of pitfalls. Once passed, it will serve as the final piece to the country’s buoyant arbitration landscape. Although the final draft is not public, most expect it to include up-to-date features found in other national laws around the world. Many also believe the law will apply in all cases in the UAE except for those seated at the Dubai International Financial Centre (DIFC) or the Abu Dhabi Global Market (ADGM). The latter, which are offshore free zones, already enjoy different rules under a common law framework. The new UAE arbitration law will distinguish between offshore and onshore seats in order to ensure harmony. Insiders consider the new UAE arbitration law to be a very good draft law. Previous drafts were open for discussion and feedback from the local legal community. They include narrow grounds to challenge an award and quicker procedures to enforce awards in local courts. Also, if a court sets aside an award, the underlying arbitration agreement survives. This means a party can start new proceedings without submitting to a local court’s jurisdiction. The UAE has yet to undo a controversial penal code amendment from October 2016. 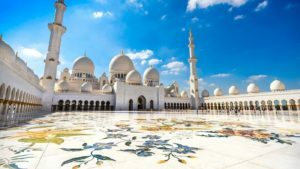 The change, which chilled arbitrators from accepting arbitrator appointments in the UAE, indicated that arbitrators could be imprisoned for showing bias. In addition to the fear of prosecution, the amendment states that officers will seize an individual’s passport during a pending investigation. Some critics also believe the new UAE arbitration law will excite arbitrator “due process paranoia,” which parties may abuse to delay a case moving forward. The UAE Government has reportedly agreed to modify the 2016 amendment in an effort to preserve the country’s status as a go-to seat for arbitration. However, the reform process may be long and complex. Last year, a government resolution also amended the applicable professional code to only allow UAE lawyers to appear in onshore cases. After practitioners exchanged criticisms with the UAE Ministry of Justice, the Dubai government issued a letter confirming that foreign lawyers can appear in arbitrations seated in Dubai. It remains to be seen, however, whether other Emirates will follow suit. Known as the Federal National Council. Specifically, Ch. 3, Arts. 208-218.